There is an art and a science to living deliberately. 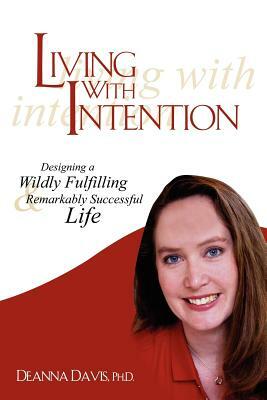 Living With Intention is all about exploring your priorities and passions, and capitalizing on your skills and gifts. It's about honoring what is important to you now and making purposeful choices about what you want to do next. It's about finding meaning in all you do. Using a unique combination of information, inspiration, reflection, and action, Living With Intention guides you in creating a vision for who you want to be and how you want to design your life. In this book, you will explore six key foundations for designing a wildly fulfilling and remarkably successful life: 1) Powerful Perspectives: Create an attitude of possibility and opportunity by transforming your outlook. 2) Get Vivid, Get Busy, and Get Support: Design an inspiring vision and practical goals that ensure fulfillment and success. 3) Energy, Focus, Outcomes: Direct your time, energy, and expertise to achieve outstanding results in everything you do. 4) Enduring Happiness: Practice the science of life satisfaction to weave more joy and contentment into your days. 5) What You Do Best: Identify your unique strengths and gifts, and use them to create the life you want. 6) Balance and Resilience: Tap into the power of positive stress while minimizing the impact of negative stress. Living With Intention takes you on a voyage toward the life you were born to live. Enjoy the journey Deanna Davis, Ph.D., is an accomplished life coach, professional speaker, and author who helps people design wildly fulfilling and remarkably successful lives. She coaches clients and audiences in such diverse issues as mind/body health, finding balance, peak performance, and improvingquality of life. Deanna is an admitted laughaholic and a strong proponent of adding chocolate as a key component of the USDA Food Pyramid. Visit Deanna online at www.appliedinsight.net.